IT SEEMS EVERY CITY in Korea has a ‘thing’—Pyongchang has skiing, Danyang has caves, Chongdo has bullfighting. City tourism officials tend to take these ‘things’ and clutch onto them with a vice grip; one sees billboards for the tea fields as soon as one enters Boseong, for example, or can’t help but be struck by the number of whale statues around Ulsan. 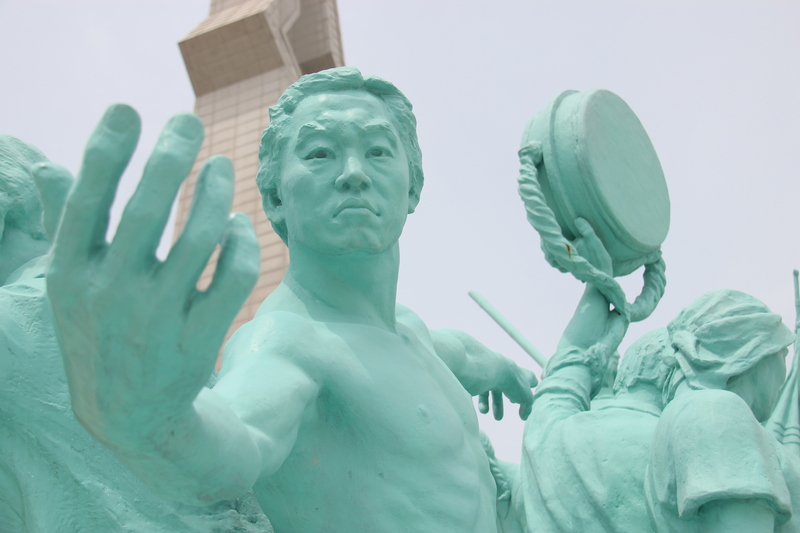 Gwangju’s ‘thing’ is democracy—probably a nobler ‘thing’ than whales or tea—and no matter where you are in the city, they don’t let you forget it. And then there are the trees. My god, the trees! Gwangju’s streets are lined with them. There’s even a really gorgeous river running horizontally through basically the whole city, and it’s kind of like Busan’s Oncheonjang River, except that it’s much wider, not hideously brown and met on the sides with wide swaths of stone, grass, plants and a comfortable biking/running path. Check out the full guide on Busan Awesome.